The methods of interdisciplinary and transdisciplinary research (hereafter, “cross-disciplinary research” or CDR) are “fragmented”, that is, distributed in unconnected ways across the intellectual landscape. Fragmentation results in inefficiency, which motivates systematic organization of methods. 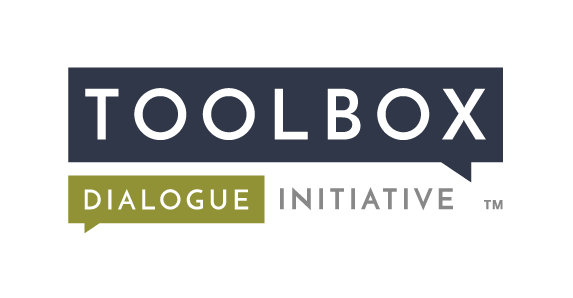 Systematic organization has value for both cross-disciplinary practitioners and theorists since it structures thinking about the range of variables that shape CDR, enhancing efficiency and prospects for project success. “Comparing Methods for Cross-Disciplinary Research” contributes a comparative, philosophical perspective to the systematic organization of CDR methods. After a brief historical review, the chapter analyzes and illustrates CDR methods. A comparative assessment of CDR methods is then presented that surveys a sample of prominent approaches to the organization of CDR methods before describing an alternate approach. The chapter closes with a discussion of outstanding challenges for those interested in comparing and organizing cross-disciplinary methods. O’Rourke, M. (2017). 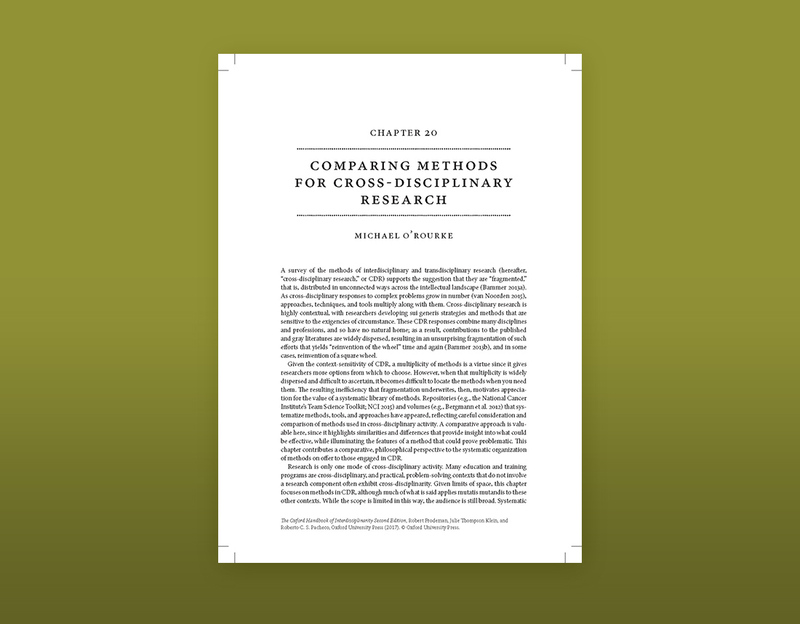 Comparing methods for cross-disciplinary research. In R. Frodeman, J. T. Klein, and R. Pacheco (Eds. ), Oxford Handbook of Interdisciplinarity, 2nd ed. Oxford: Oxford University Press. Pp. 276-290.